Appcelerator Titanium Developers, we invite you to participate in the Appcelerator DENSO NaviBridge Challenge! This is your opportunity to stay on the cutting edge and develop a new breed of apps. 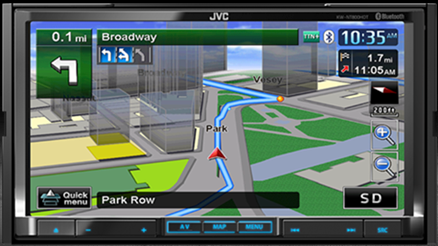 Just a short while ago, it was hard to envision mobile devices connecting with your automobile’s navigation system. Today, DENSO’s NaviBridge module, makes this a reality, marking the evolution of the connected car. The NaviBridge Module facilitates the integration of point-of-interest geo pins from iOS mobile applications to DENSO In-Dash navigation systems. This allows you to take your mobile apps map features to the next level. I’m estatic to see a new update, I was going through withdrawals! I have a ball reading your work, I can’t get enough of it!